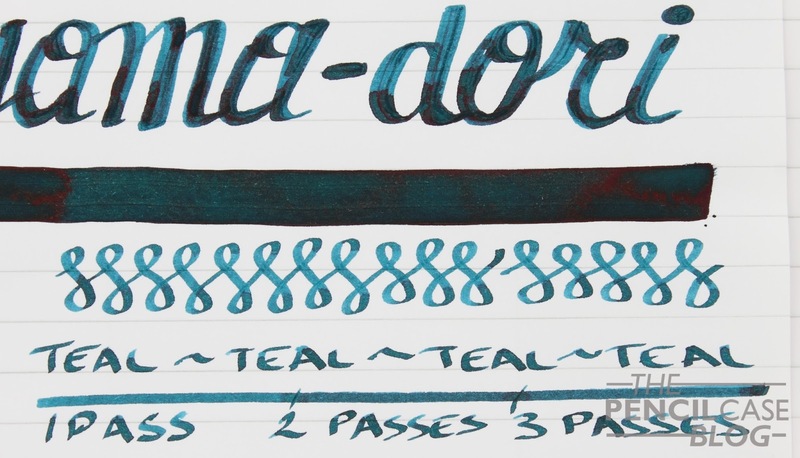 Remember J.Herbin's Emerald of Chivor? Well Sailor Jentle Yama-Dori is kind of what I was looking for after I fell in love with EoC: a teal ink with lots of shading and sheen, BUT -very important- sans the gold particles! This ink ticks the right boxes. The resemblance with EoC is noticeable, but it's not an exact copy. First of all, of course, no gold particles. For me that's a good enough reason to pick this ink over EoC, anyday. Apart from the shimmer, there are certain slight differences: it's a bit darker, the shading is a bit less pronounced, but all in all the nuance is subtle. The blue-green (teal) tone is accentuated by beautiful red sheen. A lot of sheen! 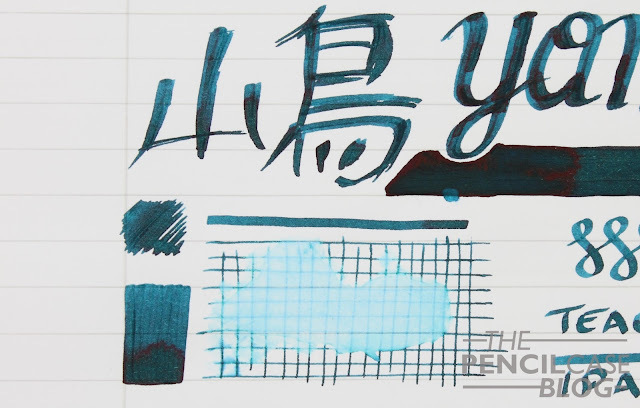 Whereas other inks only show sheen on high quality paper, with Yama-Dori you don't even have to use Tomoe river or Rhodia paper. Even on cheap paper there's plenty of sheen to drool at. Being a Sailor ink, it's a decent performer. 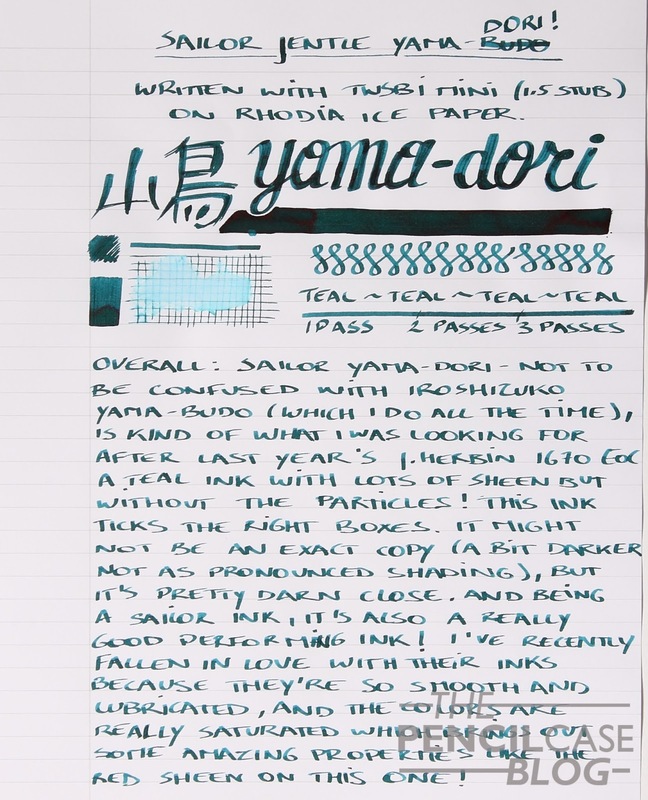 I've fallen in love with Sailor's inks because they feel so smooth and lubricated, and they give a good flow. The colors are always nicely saturated, which brings out those good properties like sheen and shading. 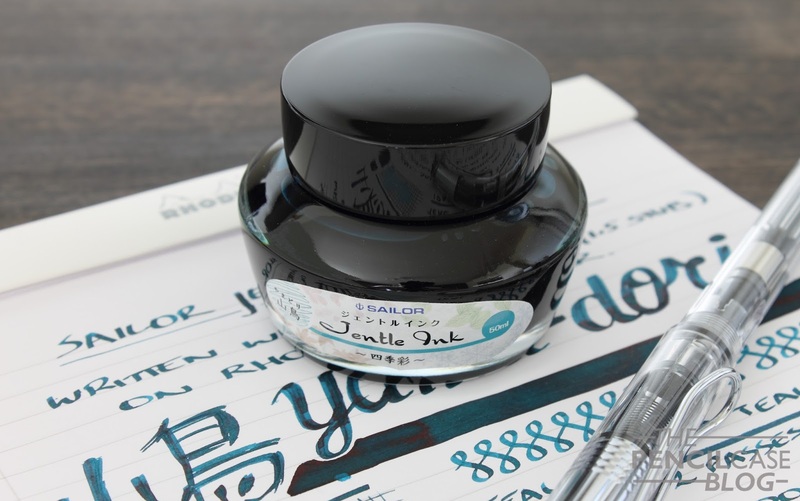 A bottle of Sailor Jentle ink will run you about 18 EUR/ 20 USD (50ml). That's a relatively premium price, but the colors are really nice so they are tempting enough to buy anyway! Note: La Couronne Du Comte is a sponsor of this blog. I received a discount on the purchase of this product. I was in no way influenced in the making of this review, the opinions shared in this review are completely my own! This post does not contain affilate links.